TeamViewer is one of the most popular software application used to connect to any computer or server around the world in just a few seconds. It's many features include desktop sharing ,remote assistant,transferring files between computers, web conferencing and online meetings.You can even access a computer running TeamViewer with a web browser! 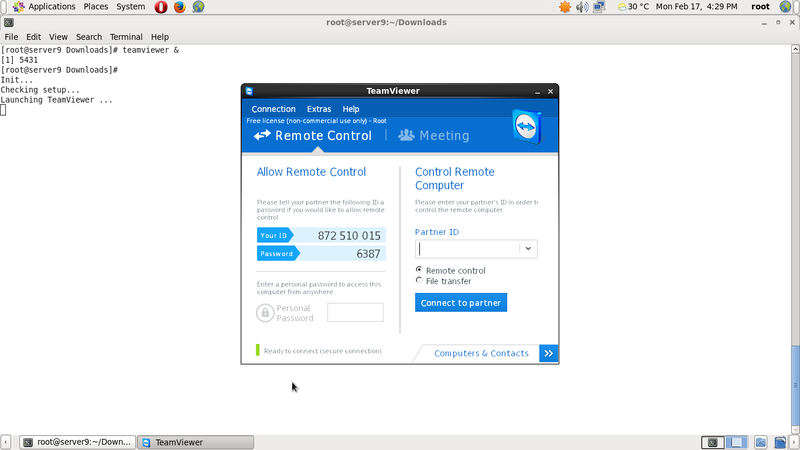 TeamViewer is compatible with Linux, Windows, Mac OS, Android and iOS.